After MTV's Video Music Awards' tribute to Michael Jackson, a new video clip of him performing has been released by Apple, Inc.
Apple has uploaded Michael Jackson for you. And it comes in the form of a new behind-the-scenes clip that will surely delight the late pop star’s fans around the world. After Sony announced a movie featuring Jackson's final rehearsals, Apple joined the bandwagon by putting up a short video clip of Jackson practicing the song “Human Nature." Starting Oct. 28, Michael Jackson fans will have just two weeks to catch the behind-the-scenes movie “This Is It”, which revisits the late pop star’s rehearsals for what were announced as his career’s last shows to be held at London’s O2 Arena. Even though the London shows never happened because of Jackson’s premature death on June 25, fans shouldn’t worry about a lack of material for the film – or for more behind-the-scenes excerpts. According to Sony Pictures Entertainment, which will be distributing the movie in theaters next month, director Kenny Ortega has more than 100 hours of backstage and rehearsal footage. 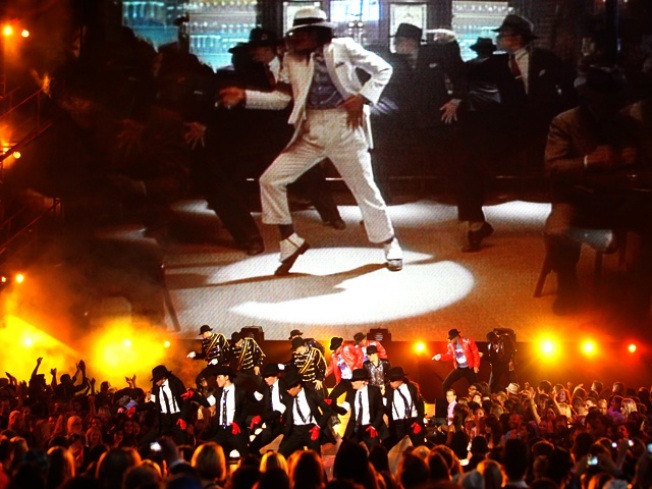 Sony also released a two-and-a-half-minute trailer of the movie following a special tribute paid to Jackson during the recent MTV Video Music Awards. Ortega was also Jackson’s creative partner and stage director for the final shows, and is producing the film alongside Randy Phillips and Paul Gongaware.